Sometimes my writing reads more like entries in a diary. They start with the hard facts to process and then the heart takes over and bleeds on paper. 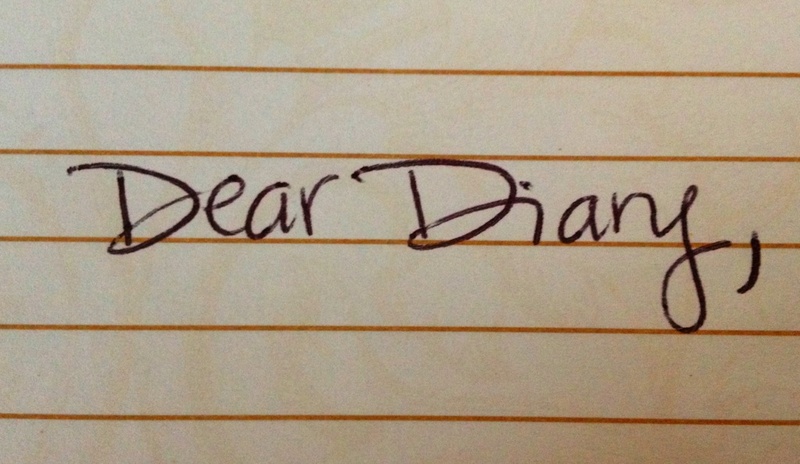 The thing about diary writing is they never resolve. There is never a neat and tidy ending because you don’t know the ending. You are living in the moment at that very moment. The only resolve is closing it up and having a good cry. I woke from a dream this morning. And I’ve been trying to figure it out ever since. In my dream Dad was alive. But strangely, I and everyone else in the dream knew he had passed away—He was the only one who didn’t know the truth. And yet, even though I knew the truth—I was the only one in the dream who saw him. I was the only one who spent time with him and talked with him. I lived out what he believed was true. And I never told him the truth of his existence. I never told him he had already died. That was normal for us. It was a regular scene out of the ordinary lives of me and Dad. But in the dream I knew…the truth. But he was clueless. And I wasn’t about to let him know. Why would I? I liked Dad close to me. I felt safe in this normal and familiar scene. The dream scene changed. I’m now standing in another house without Dad. Those closest to him were nervous around me. It was as if they had news to share, but didn’t know how to say it. It was then that I looked around and saw the house was almost empty and boxes were packed. They were moving—literally moving to another continent. And they wanted to pack light. They were getting rid of Dad’s things—it was too much to pack and take with them on their journey. I was then led to a spare room of Dad’s things and asked again if I wanted what was inside. The room was filled with opens drawers and boxes of…junk. Things that didn’t seem connected to Dad at all. But I feverishly packed everything up. I didn’t want anything of Dad’s at risk of being dumped or trashed. I wanted whatever was his. I wanted to hold on to anything and everything. God speaks in dreams. He takes the deep sleeping moments of a vulnerable spirit to share insights and revelation about our lives. I know this. But what did all this mean? I’m scared of what that revelation may mean for me in my grief journey. Thinking back to the dream, I was hung up on one thing. I couldn’t understand why I was the only who could see Dad in the dream. I think the others never saw Dad because they had let go and moved on. They made peace with their new lives without him. But for me he was still here. I was talking and walking and planning and doing life with him. He didn’t know he had died because I hadn’t let him. And if this is some sort of God’s wicked way of telling me to move on. God please don’t make me. Don’t make me let go. Don’t make me be brave and say good-bye all over again. I don’t want to be brave. Not today. Not on this. Not ever. No doubt God will reveal more, but for now my only resolve is to close up this diary and have a good cry. Yep, you have to let yourself grieve. Important stuff. Thanks Kaye. Grief is a strange thing. Just when I think I’m doing well…something new sneaks up and then I’m undone. Maybe God was giving you the gift of some special time with your dad – because He knew you needed it? And knows you are brave enough to embrace it for what it was. Thanks Sharon. God has been so very generous to give me zillions of dreams with my dad in it. And I cherish every single one. i absolutley love this. This deeply moved me and brought tears to my eyes. it is raw and honest and vulnerable…and quite frankly how i feel i would react as well. its ok to not be ready to let your dad go yet and i also think that God knew you needed some time with him. When you are ready to take that next step forward God will be with you and help you through it then just as He is patiently walking with you through it now. Thank you for those words. I hope and trust God to be patient with me in this process. Thanks for your encouragement. I don’t think God would ever tell you to just move on. I think that He may be showing you that it is OK to move in slow baby steps guilt free. Thank you Dianne…I like that a lot. Ya, I don’t think that it was God telling you to move on. I think it was God showing you how close YOU were and still are to him. You have journeyed so well friend. Grown so much. 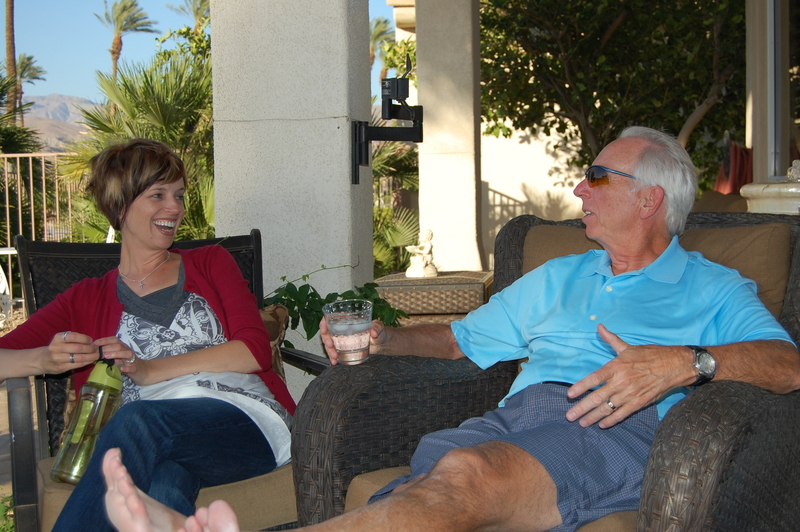 As a wife, mother, friend, writer and still…yes even still a daughter to your Dad. Your holding on isn’t holding you back. I say, hold on a little tighter. Your relationship with your Dad is/was and always will be a very special one. Love. You.